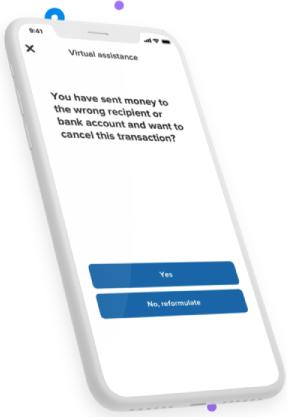 Our conversational technology, connected to your mobile app, allows a support bot to understand and answer recurring requests from your clients. Load personal information you might have on your CRM about a user (name, email, etc.) as soon as they connect to the bot. With this data on hand, your bot will deliver personalized customer support and a superior experience. Webhooks are useful to build advanced bots. You can use information in your database, CRM, customer service tool or internal API (recommendation engine, search, etc.). Learn more in the developer documentation. 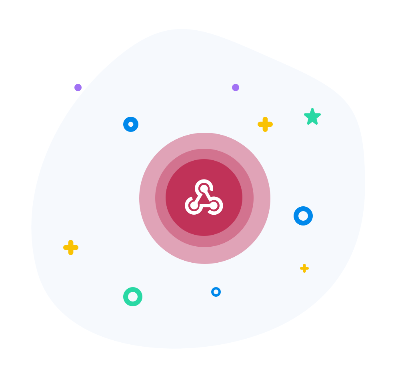 The advanced intent and entities configuration create smooth conversations with powerful logic (logical conditions, Regex and entity extraction). We have covered all of our bases to make sure that your clients' queries can be quickly understood and resolved. In addition, our NLP is available in several languages. Besides having powerful NLP and the ability to integrate a chatbot in your own app or platform, we provide an easy visual story builder. The visual story builder maps out all the complex rules in an interface that's simple to understand. Stop wasting time trying to build a logic with your IT team and do it directly on the platform. You will have a helicopter view of your project and question-and-answer scenarios from start to finish. Why does your app need a chatbot? Simple to Build, Easy to Implement! Our visual drag'n'drop builder is easy and fun. Your support team can build and improve a bot without programming. 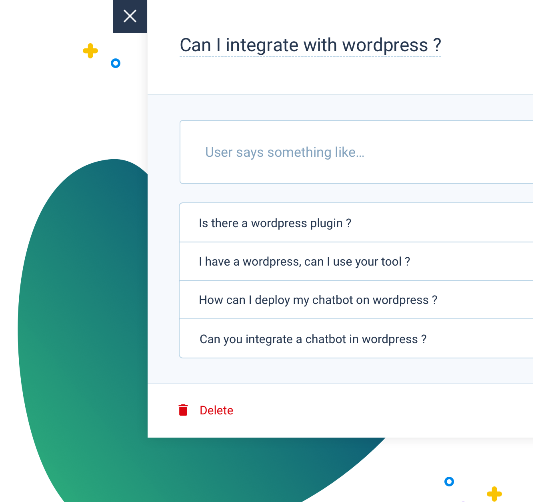 Just import one of our chatbot templates, and you'll be up in no time. Our platform integrates within your workspace, no matter what tools you use. 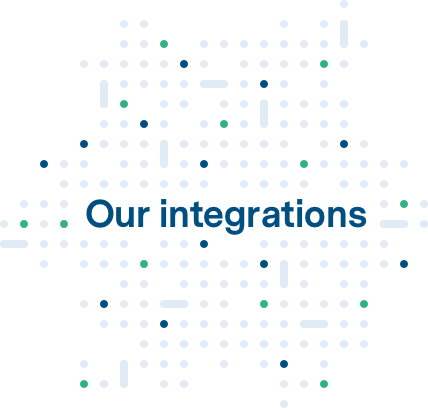 To reach customers wherever they are, our bots can be integrated on any messaging platform. We were looking for a technical and powerful platform. We have a solid technical team at Lydia and we wanted to connect to the Clustaar API to integrate the chatbot in our application. We also wanted an easy-to-use platform that would allow to quickly build scenarios so business teams can use them. 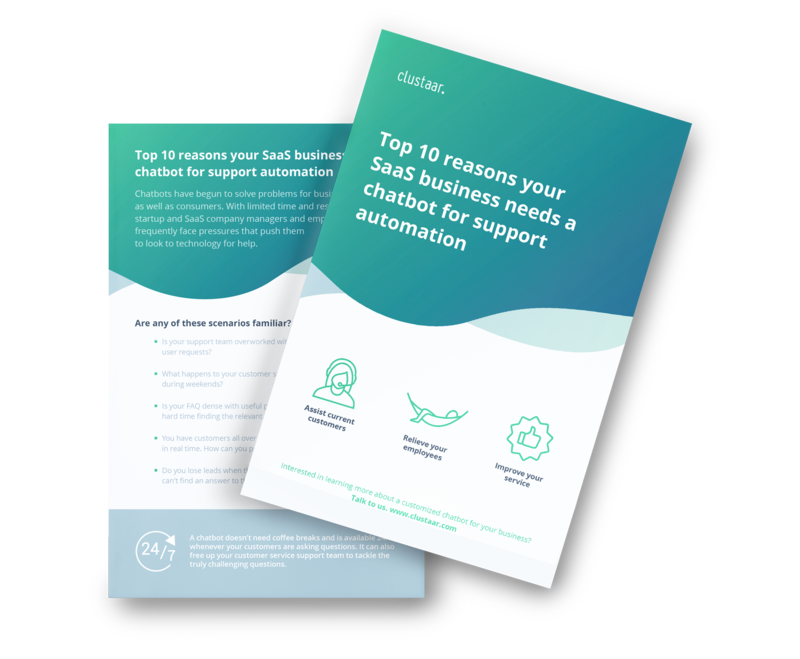 I researched thoroughly customer support bots and came up with Clustaar as one of the best solutions in the market, with a good balance between capabilities and simplicity. With Clustaar, you can be up & running with your first bot scenarios pretty quickly, and this was very important for us. We use Clustaar to provide support outside business hours. We optimize our chatbot every week, and we are happy to see feedback from our users, delighted to receive answers outside business hours. They are more than just a service provider, they are a partner. We are thrilled to work with Clustaar, their team follows up seriously, with excellent teaching skills and spirit. Looking for Clustaar SEO&Data ? © 2019 Clustaar Chatbot Platform.